Clean burning soy and pure essential oils energize your space with fragrance and flickering candlelight. Line a garden path, place a cluster on a tabletop, or spread around for intimate illumination. Formulated from soybeans, jojoba beans, palm wax, and other vegetable bases. These candles burn clean and are long lasting. Give a gift card to a friend, and win one for yourself! Purchase an Etsy Gift Card before November 14 and you'll be entered to win a $250 gift card." Sign up here and receive $10 off any Tophatter auction! Hey guys, here's a special humpday treat for you Tophatter auction fans! Want to learn how to make natural bath & body products in a party setting? Want to supplement your educational or community program with fun & green activities? Gather a group of 10-15 and contact us to schedule 1-3hr workshops for your bridal party, students, community group, tenants or office staff. 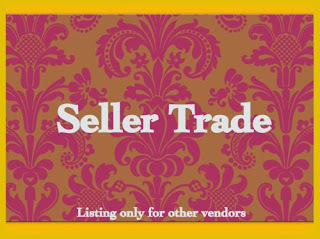 Beazer's Garden Customer Rewards Center: SELLER TRADES: *I welcome seller trades and I believe in cross promoting and advertising for other crafters. I regularly pin, tweet, stumble and post to Facebook items I like from other shops. Please take a look at my shop & I will trade any item in my shop for $ match. • Pagan/Buddhist/Wiccan jewelry I regularly post items I like from other shops to Facebook, Pinterest, Twitter & Stumble. I would LOVE if you did the same for me and share the love. Add me to your Circle & follow my pages to see your shout outs. for referring my shop to your friends and for subscribing to this blog. Take VIP DISCOUNTS for every action completed. Send them the special "Referral Candy" code emailed to you after your purchase. Check out my natural carpet powder in this article by @HandmadeFuzzy called, "Stress Relief & Natural Products"
"I really need a stress reliever now…"
A wonderful alternative to burning a candle! Break off a square from the bar, place on top of a candlelit simmering pot or into an electric simmering pot and release the fragrances into the air. Listing is for 1 waffle bar of 6 bricks in one scent of your choice. *Burner not included.